It occurs to me that my blog, up to this point, has been mostly a collection of of happy-go-lucky posts about field trips and vacations, with lots of photos of me standing in front of significant places and smiling at the camera. 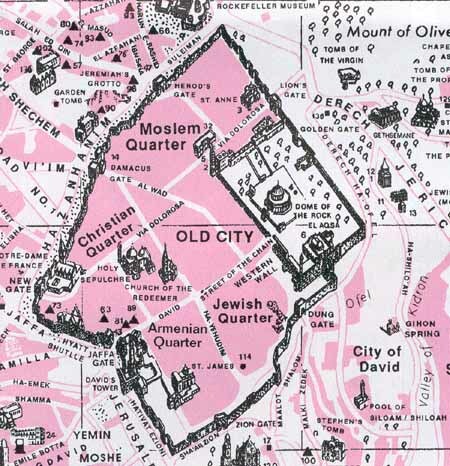 Actually, though, living here in Jerusalem has been much more than sightseeing. It has been a learning experience, and a sobering experience as we live among people for whom violence and danger is a daily reality. About ten days ago, as you may have heard, there was a shooting at a yeshiva, or Hebrew school, across town in West Jerusalem. The killer, who was from a neighborhood near us in East Jerusalem, fired fifty or sixty shots; many people were injured, and eight teenage boys studying at the yeshiva were killed. The gunman was finally stopped when a man from a neighboring building came into the back entrance of the school and shot him down. Mrs Goldman also told us that in Israel, when there is a crisis, people run toward the disaster so that they can help, rather than running away for safety. A few years ago when there was a car bomb, her husband, who is a rabbi, ran toward the explosion. He showed up at the scene and started pulling victims out of the rubble. After the attacks, the Jerusalem Center was locked down completely; we weren’t allowed to go out for any reason for about four days. It was a really long four days, especially because before that we had been forbidden to go to the Old City or East Jerusalem because of the Gaza strikes (when there are Gaza strikes, we can only leave the JC if we get a taxi to take us directly to West Jeru; we can’t walk through East Jeru or past the Old City). Two-thirds of the SS officers who carried out the mass murder of the Jewish people were college-educated. Most had degrees in law, philosophy, economics, and history. One-third of all the SS officers held doctorates in their fields of study. “The world was divided between places where they could not live and places where they could not go.” Chaim Weizmann said this of Jewish refugees in Europe in the 1930s. And I did not speak up, because I was not a socialist. And I did not speak up, because I was not a trade unionist. And I did not speak up, because I was not a Jew. And I did not speak out, because I didn’t deal drugs. And I was silent because I owned no property involved in crimes. And I did not protest, because I was innocent. And I said nothing, because I didn’t own any guns. And I could say nothing at all. Today we went to Bethlehem and spoke to some of the students at Bethlehem University. The West Bank is supposed to be the territory of the Palestinians, but it is not contiguous; it has been broken up by Israeli settlements. In order to get to their classes at Bethlehem U, the students told us, the 30-minute drive takes two hours because of all the checkpoints they have to go to. They are not allowed to move freely in their own home country; it is divided between places where they have to have permits and places where they have to pass through checkpoints. These are just some of the things that have been on my mind lately; what do you guys think? Let me know! I promise to attend my party caucus meeting tomorrow, Kim. It is arguably the most influential meeting or event a common voter can attend – it is where we elect delegates to go to convention. Your thoughts are deep and inspiring. I desire to inspire others to yearn for a restoration of lost freedoms – and to define clearly what things should never be compromised under any circumstances. Hi, sorry for the slow reply. I really like WordPress because it has a very user-friendly WYSIWYG editor and it’s really easy to have any domain name post to your WordPress site, without having to do any coding at all. Hope that helps!